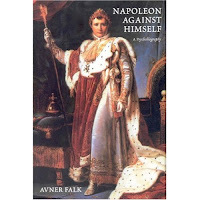 I've just finished Napoleon Against Himself: A Psychobiography / Avner Falk. It's an interesting read ultimately let down by taking the argument too far, sloppy history and bad editing. I've always been curious as to how and why Napoleon was so driven to become the most powerful individual in Europe from a relatively obscure background, and how this drive and utter self-belief that got him so far was ultimately responsible for his downfall. The author's argument boils down to lack of love from his mother from the earliest moment and an utterly self-consuming love-hate relationship with her that drove his narcissistic need for self-worth. Basically, the defendant conquered Europe because his mother didn't breast feed him, M'lud. While it is true that an individual's earliest childhood days impact profoundly on the adult they become, the author goes to great lengths to spell out how each individual well-known episode in Napoleon's life was influenced by his need for his mother's love, which seemed to me to be stretching the argument. The analysis of his early life was interesting and I found quite convincing, but the further the author extrapolated the argument, the thinner it got. I always found it hard to understand how Napoleon was so fiercely proud of Corsica and how passionate he was for the cause of Corsican independence, but how easily he gave this up after Paoli and his followers rejected the Bonapartes and their politics. The author explains this in particular by theorising that Napoleon projected his love-hate relationship with his mother to his homeland and that Corsica became the 'bad mother' figure and France became the 'good mother' whereas previously the two positions had been reversed. 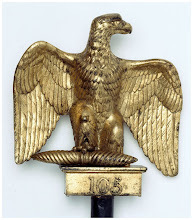 The way his mother also had a strong, possibly sexual, relationship with French governor Marbeuf also explains why Napoleon's views towards France and his mother were so ambivalent and confused and how easily his loyalty could be transferred from one nation to another. The reasons Napoleon's love-hate relationship with women in general, and Josephine in particular, also stands up to the argument put forward by the author; that is his unresolved love-hate relationship with his mother was the overriding template for all his relationships with the women closest to him. The sado-masochistic relationship with Josephine certainly was destructive, but because both parties enabled the other, was a co-dependent and almost symbiotic relationship. However, when the author theorizes that Napoleon's underlying desire when erecting the triumphal pillar in the Place Vendome was to bolster his fragile ego by reassuring himself of his sexual potency by building a giant phallus, the author enters into stereotypical la-la land Freudian arguments. Somehow, I can't imagine the author puffing on his pipe while Boney lies on the couch unburdening his deepest soul. Also, when the author touches on aspects of Napoleonic history that I am most familiar with, he makes several howlers that stand out like dogs' whatsits. For instance, he claims that Murat was instrumental in persuading the Spanish royal family to abdicate in the favour of Joseph, when the truth is that Murat didn't have anything to do with the family squabbles of the Spanish Bourbons and that Carlos and Ferdinand both appealed to Napoleon of their own volition. Murat didn't have the Machiavellian skills or intelligence to involve himself at this level of politics. The author isn't even consistent in his arguments, saying that Marie-Louise abducted the King of Rome before the fall of Paris in 1814, then later conforming to the accepted view that under severe pressure from Joseph and other members of the government, she withdrew from Paris and waited for Napoleon's summons, which never came before the allies caught up with her. Which is it to be? Also, the author states that Napoleon delayed his departure for America after his defeat at Waterloo because he had an unconscious self-destructive desire to be caught, and that he could easily have taken ship and escaped. Later he claims that if he did, it would have been suicidal folly because the Royal Navy would have had no trouble stopping him. Again, which is it to be? 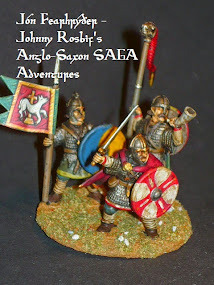 A book that had promise, but was let down by too much speculation and bad history. It could have been so much better.